Monte Cruz Ranch is the premier hunting destination for whitetail deer, exotic game, turkey and wingshooting due to its prime location in Uvalde County, and unique landscape, combining the elevation changes of the Texas Hill Country with the nutritious brush species of South Texas. Southern Uvalde County is famous for its wildlife density, quality, and vast unique eco structure. For the last 100 years, more Boone & Crockett bucks have come from this “Golden Triangle” area, consisting of roughly 10 counties, than any other area of Texas. Uvalde proper offers thousands of acres of cultivated grain fields which lie in the western flyway of migrating white wing and mourning doves. This area has more doves than anywhere in the United States. Wild Bobwhite and blue quail abound in greater numbers than anywhere in the lower 48. Three of the four major South Texas rivers traverse the Uvalde area including the crystal clear Nueces, Frio, and Leona Rivers. As a result, creek systems traverse the landscape feeding these rivers and offer world-class Rio Grande spring turkey hunting. Predators including wild boar and coyotes flourish. 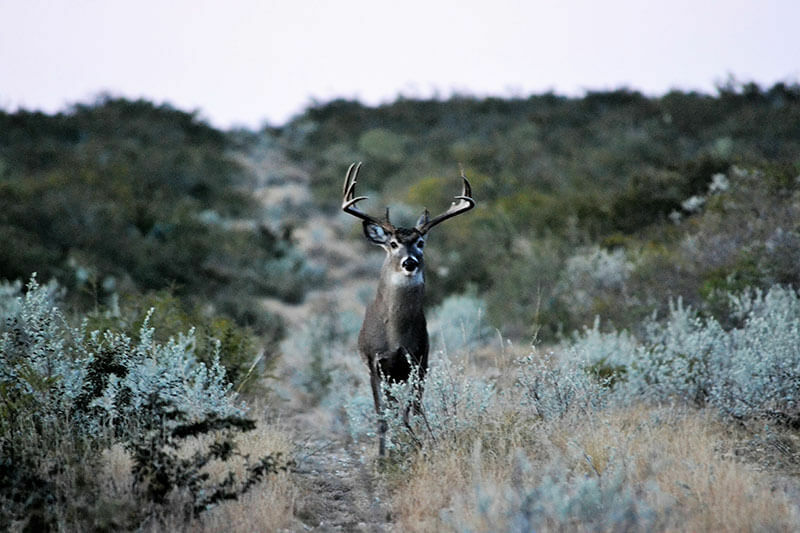 Visit the links below to learn more about the hunts offered at Monte Cruz Ranch. Please visit our Contact Us page to submit your hunt inquiry or call (830) 275-0157 for more information.